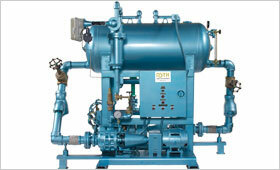 Roth 212 ° F (100 ° C) Steam Condensate Return Stations are designed to handle water near or at the boiling point. 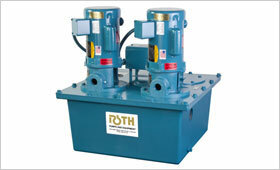 Low NPSH submerged pumps provide full capacity at any liquid temperature up to 212 ° F (100 ° C). These units will deliver hot water at temperatures up to 212 ° F (100 ° C) and will not vapor bind at 212 ° F (100 ° C).